It may be hard to believe, but the NHS estimates as many as 9% of all adult males in the UK show signs of alcohol addiction. The number for adult females is 4%. Combined that means just over 6.5% of all adults in the UK may be suffering from some level of alcohol dependence. At Middlegate, we find that alarming. The NHS uses the phrase ‘shows signs of alcohol dependence’ because there are plenty of alcohol abusers who never admit their problem or seek help. That also implies that perhaps the estimates provided by the government are too low. That’s even more alarming to us. The good news is that alcohol addiction help is available to anyone who wants to avail him or herself of it. Middlegate Addiction Help exists to facilitate treatment at the request of our clients. We have relationships with the best alcohol addiction detox and rehab centres as well as contacts with NHS programs and alcoholism charities. One of the main problems with alcohol addiction is that it is culturally acceptable in its early stages. In other words, most of us would agree that full-blown alcoholism is a bad condition requiring appropriate treatment. However, our culture fails to recognise the early signs of alcohol dependence because drinking is an acceptable norm. experiencing nausea, sweating and vomiting when alcohol consumption ceases. The alcohol addiction treatment clinics we work with offer a variety of both outpatient and residential programs. An outpatient program is offered at a hospital, health clinic or charity location, and involves clients coming to the location for counselling and group therapy. After the sessions, the clients return home. A residential program recommended by Middlegate involves clients going to live at a facility for about a month. While there, they will receive treatment along with food, exercise, social activities and any necessary medical care. Middlegate recommends residential programs whenever possible. That said, treatment at one of these centres could consist of detox, rehab or a combination of both. 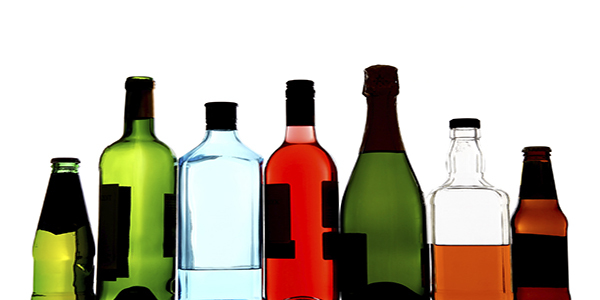 Detox focuses on separating the addict from alcohol so that he or she can no longer consume it. Rehabilitation goes further, attempting to discover the roots of the addiction so they can be dealt with. For alcohol rehab cost, contact us as we may be able to get you free alcohol rehab or point you towards alcohol rehab clinics that are free including charity rehabs. At Middlegate, we do not believe there is a single program or residential facility that works for everyone. So our alcohol addiction help is based on the individual needs of each client. We may recommend detox or rehab alone, or we may recommend a combined program. In either case, we will do what it takes to help every client who comes our way. Do not allow yourself or a loved one to continue living as a prisoner to alcohol dependence. Alcohol addiction help is just a phone call away. As soon as you contact Middlegate, we will get to work on getting you on the road to recovery.